What does Saypha Filler come with? In sterile packaging, this injectable filler comes with one 1ml prefilled syringe, two 27G 1/2” needles, and a package insert. What are the benefits of Saypha Filler? 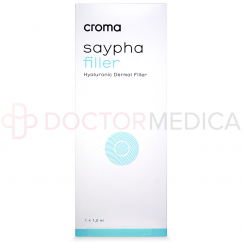 Saypha Filler is beneficial for its ability to combat the signs of aging on patients’ skin. Indeed, this cosmetic provides volume to the skin that can improve the shape of sagging parts of the face and can correct moderate to severe wrinkles. This product filler also improves the skin’s elasticity and texture and replaces lost volume from the lips and contours of the face. This formula also works as a lip enhancement. What is Saypha Filler made of? 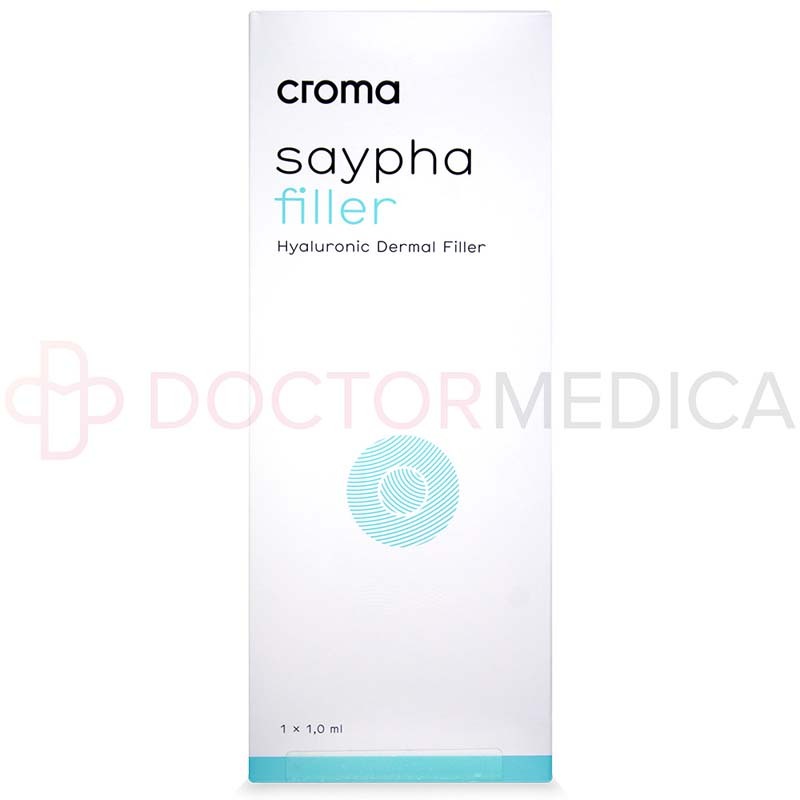 Saypha Filler is made of cross-linked hyaluronic acid, sodium chloride, and a phosphate buffer pH 6.8-7.6. The cross-linked hyaluronic acid of this product attracts and retains water in the skin, which helps provide volume that can reduce the presence of wrinkles. 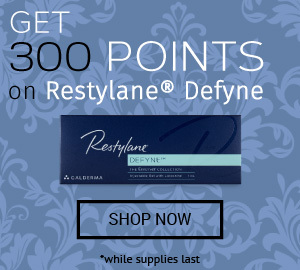 Furthermore, this hyaluronic acid is designed using Supreme Monophasic and Reticulated Technology (SMART), which uses a three-dimensional framework that generates highly durable molecules; this, in turn, means that the hyaluronic acid’s ability to provide water and subsequent volume to the skin is long-lasting. Likewise, the sodium chloride in this product helps to soften and hydrate the areas of the dermis that deteriorate in appearance as patients age. How do I use Saypha Filler? When you receive Saypha Filler from Doctor Medica, be sure to store the package in an area with a temperature between 2°C-25°C that is also away from sunlight. In terms of the procedure itself, disinfect the area of the skin meant for treatment. Following this, inject this dermal filler into the targeted area using a thin, single use syringe. After the injection, you may gently massage the site of the injection in order to evenly distribute the solution to ensure optimal results. A Saypha Filler treatment usually takes approximately 30 minutes to complete. Results should take effect immediately after the injection. It is common industry knowledge that such treatment times are similar to other cosmetic fillers. This filler is ideal for aging patients who want a cosmetic treatment that can revitalize their skin with long-lasting results. More specifically, Saypha Filler can be used on patients who want to reduce the appearance of marionette lines, perioral wrinkles, and glabellar lines on the forehead. This filler can also be injected into the lips, which can often age more visibly than the rest of the face, to add volume and definition. For patients who want quick results with relatively low-maintenance required, Saypha Filler is an ideal choice. What areas should I use Saypha Filler on? Saypha Filler can be used on all areas of the face to fill in undesired lines and wrinkles around the mouth, chin, forehead, and nose. Additionally, Saypha Filler can be used on the lips for enhancement purposes. Depending on the patient’s age, lifestyle, and the condition of their skin, the results of one Saypha Filler treatment can last anywhere between 6–10 months. Customize an effective treatment plan with your patients should they wish to return for subsequent treatments. Why should I use Saypha Filler? Saypha Filler provides your patients with a safe and effective anti-aging treatment that is long-lasting with few potential side effects. As a multipurpose filler, licensed practitioners can use Saypha Filler to fill in deep wrinkles and/or enhance the lips. Who is Saypha Filler intended for? This anti-aging treatment is intended for patients with moderate to severe lines and wrinkles on the face and for those with thinning lips. Designed for long-term results, Saypha Filler treatments are ideal for patients who are looking for younger-looking skin that doesn’t require monthly maintenance. A skin test is usually unnecessary prior to Saypha Filler treatments since the hyaluronic acid is highly purified and of non-animal origin. In spite of this, mild side effects may occur immediately following the injection. Such potential side effects include redness, discomfort, tenderness, and swelling. However, these side effects generally clear up within a few days, if not hours, of the initial treatment. Before use, refer to the filler’s leaflet included in the packaging for a full list of side effects, precautions, and contraindications.